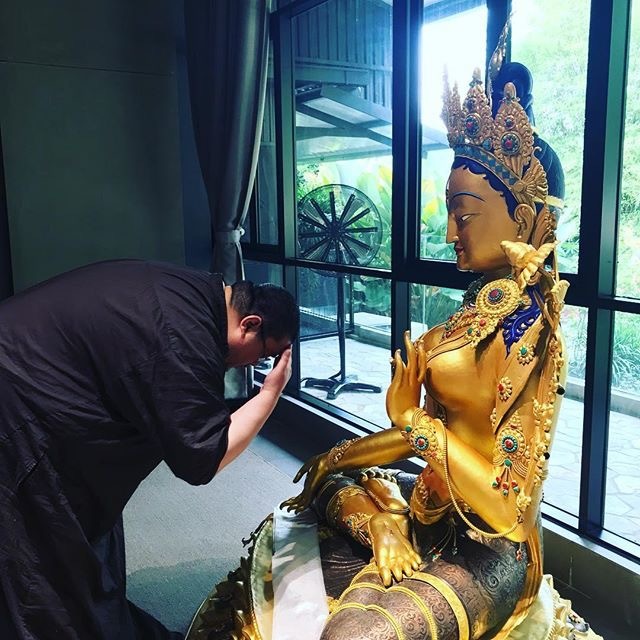 Tsem Rinpoche paying homage to White Tara, the saviouress. A student and devotee of White Tara had commissioned a 5-foot statue for his home. Having requested Rinpoche to bless and consecrate the statue, White Tara was escorted to the Ladrang where, upon sight, Rinpoche immediately paid homage to her and gave a short teaching on White Tara’s sacred iconography and the benefit of making big Buddha statues.